Archive by Category "Garage News"
Car repairs in Great Yarmouth. Air conditioning recharges on R134a and R1234f gases. 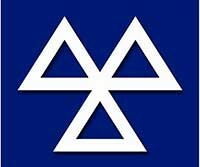 MOT testing in Great Yarmouth. On car injector & DPF cleaning (Forté Power-Clean). Motorcycle repairs in Great Yarmouth. We offer fixed price car servicing in Great Yarmouth on all models up to 2.2 cc, terms and conditions do apply. Our full service plan comprises of a 50 point vehicle check, all brakes are cleaned and measured all fluids tested and topped up where required, on our full service plan we change oil filter, vehicle specific oil, air filter, fuel filter, spark plugs, and pollen filter. Any advisories are logged and the customer called, we do not carry out any repairs without the customers consent. Our interim service plan consist of a 27 point check with all fluids tested and topped up. We change the oil filter and vehicle specific oil. And the front brakes are cleaned and measured. Our technicians together have a pool of experience to draw on of over 30 years, and you can be rest assured that we will look after your vehicle in the best possible way. We are investor in people and operate a apprentice scheme where we are training the technicians of tomorrow. One of the services mentioned above is DPF cleaning, this is a growing area where we are able to clean your DPF filter on the car if it has become blocked. The expensive replacement of DPF filters has led to many companies developing cleaning systems for DPF filters. We have partnered with forte and we now use their power clean system which allows us to clean DPF filters on the car which is less intrusive and more cost effective to the customer. The system uses a chemical that cleans the DPF in a foam state, then this is flushed away with a cleaner. We are now proud to announce that we are now offering motorbike repairs in Great Yarmouth and motorbike servicing in Great Yarmouth. At Autotech we pride ourselves on attention to detail and honesty and will use all of our experience in providing the best service possible to our customers. Our motorcycle technician is very passionate about the work he carries out and has 20+ years fixing and riding motorbikes, quality of work and safety are our top priorities in offering the customer the best service possible. We have a very happy to discuss any issues you may be having and will always find time to chat to anyone that pops for any kind of advice. 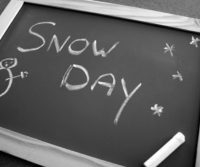 Due to the terrible weather at the moment, we have decided to close the garage until Monday 5th March, to ensure the safety of our staff and customers. We are sorry for any inconvenience caused by this, but our main concern is the safety of our staff and customers. Please take care of yourselves and your loved ones. Don’t forget to check on elderly and/or vulnerable neighbours during this horrendous period. 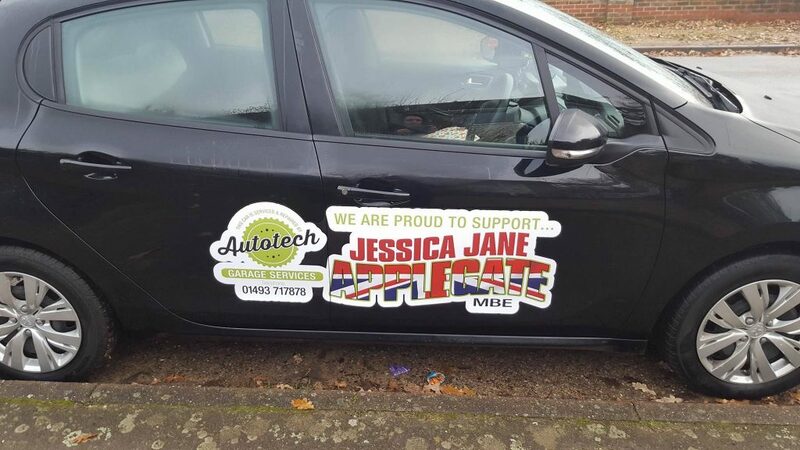 As you may be aware, Autotech Garage Services proudly supports Paralympic superstar Jessica-Jane Applegate. Jessica-Jane has just put out a press release, which kindly thanks Autotech Garage Services for their support. If you would like to help support Jessica-Jane Applegate, please visit her Just Giving page HERE. In the January of 2016 Jessica-Jane became ill and her training and competition suffered to the point where she had to choose between ending her career or surgery. Even though she managed to claim 2 silvers and 1 bronze in Rio racing with a prolapsed disc in her back and only 9 weeks after surgery she didn’t manage to achieve a personal best time during that year therefore she lost the majority of her UK Sport funding. She didn’t give up though & with the help of the Community Sports foundation she set up a funding page. Nwes have also stepped in to help with her marketing, website and are also holding fundraising days on her behalf. Most recently local family run garage Autotech Garage Services have offered their assistance too – Owners Gary and Melanie Harris quoted ‘We are a local family run business who are always keen to help local charities, good causes or local heroes such as Jessica-Jane Applegate. In the past we have helped a local lady purchase a mobility scooter, we give continued support the RSPCA along with helping a local youth football team with their kit. When we heard of Jessica-Jane’s funding reduction we felt so strongly that it was so unfair we agreed we would help as much as we could with her vehicle maintenance, servicing, tyres, and general repairs as her car is so important for her to enable her to travel not only to training but around the county to competitions & training camps’ Autotech Garage Services have just opened their very own in house brand new MOT station investing in top of the range equipment to allow any or all work to be carried out on the same premises. They have extremely competitive rates along with offering numerous other on site services including payment plans for those that cannot afford to pay in a lump sum. For any further information please contact Dawn or Mel on 01493 717878. 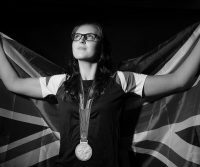 Since then Jessica-Jane has broken several S14 British Records and has started to improve again since her surgery last year. MOT Testing now available in-house! We are please to announce that our in-house MOT is now open! At Autotech Garage Services we wanted to ensure that we could offer the best service possible to our customers, so we felt that we needed to offer in-house MOT tests in Great Yarmouth. This will allow you to be reassured that your MOT will be conducted with the same level of care and attention you have come to expect from Autotech Garage Services. Autotech Garage Services in Great Yarmouth offers MOT tests in Great Yarmouth, but there are many things you can check yourself before you present your vehicle for its MOT test. Getting your car through its MOT test can be a stressful and expensive time. There are a lot of little things that anyone can do prior to their MOT to help their car pass it MOT and we have listed them below. Make sure all the doors open and that the front doors open from the inside and outside. If you have done all of the above, you have a good part of the MOT test out of the way. If you are looking for a cheap MOT in Great Yarmouth and you are wondering which Garage in Great Yarmouth to use, why not give Autotech Garage Services a call or book your MOT online. We ensure that the MOT’s are carried out fairly and to the highest standard possible. If you have any questions or queries with regards to your upcoming MOT test, please do not hesitate in contacting us. Autotech Garage Services is pleased to announce that we’re offering all Aviva employees a 10% discount on parts and labour. 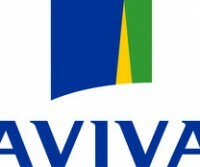 Like Aviva, we put our customers first and will keep you updated on the progress of your repair. We can also offer a courtesy car while yours is being repaired! 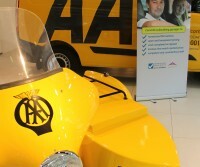 To redeem your discount, just produce your Aviva ID on dropping off your car and when you pay. Terms and conditions apply. This offer cannot be used in conjunction with any other promotion. 10% discount does not apply to MOT’s, 4 Wheel Laser Alignment or repairs paid for using our payment assist payment scheme. Great Britain, the country that has 4 seasons in one day and you can get snow and flash floods at the drop of a hat. 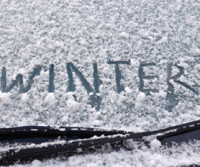 With the weather being unpredictable, especially at the time of the year, it is always important to ensure before any journey that you and your car are prepared for any eventuality. Below we have compiled a list of items which should be checked frequently, especially in the cold weather. 1. Tyres – You should check the condition, tread level and pressure of your tyres to ensure that they are performing to the best of their ability. Check the tyres to see if there are any splits or bulges. You should also check to ensure that the tread level of your tyres is above the legal limit of 1.6mm. We would recommend that you change your tyres well before hitting this limit to ensure optimal grip in all weathers. You should also ensure that your tyre pressures are inflated to your car manufacturers recommended settings. Not only will this assist with the handling of your car, but it will help increase your cars MPG! 2. Coolant – You should ensure that your cars coolant level is between the minimum and maximum markers. Coolants include Anti-Freeze which is designed to stop your engine from freezing. Coolant is very cheap and can prevent a very hefty bill for repairing an engine which has become frozen. 3. Battery – In cold weather the oil in your battery becomes thicker, which means it requires more energy from the battery to create a chemical reaction to generate electricity. The older your battery gets, the more it will struggle, so it is advisable to have your battery tested to help reduce the chances of you being caught out with a dead battery. 4. Screen Wash – Ensure that you have enough screen wash in your screen wash reservoir and that it is at a concentration suitable for the cold weather. Failure to use the correct concentration can lead your washer pump freezing and other issues. If you would like assistance in checking these and any other points in your car, please do not hesitate in contacting us to arrange an appointment for us to do this for you. Happy New Year from all at Autotech Garage Services, the family run Garage in Great Yarmouth you can trust.